my art show 18 april '09. a one day "happening"...an art sensory overload: art hung salon style, music, drumming, poetry, half naked woman dancing while covering herself in chocolate, etc. i showed pastels 8, 9 and 11. they were very well received. 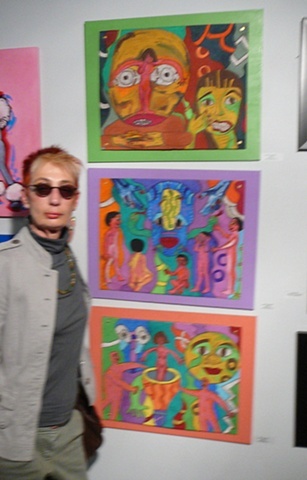 this is the first show for my new work in pastels. all my pastels will also be in my show, "artomatic", 29 may-5 july 2009.